The Eclipse Dancer is a resonant literary fantasy in which distinct cultures clash and supernatural possibilities are ever-present. 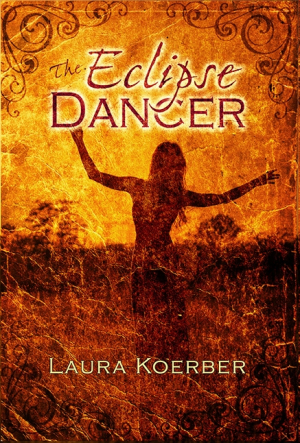 A dreamy, mournful fantasy, Laura Koerber’s The Eclipse Dancer inspires thoughts of other possible worlds with its dramatic and poignant story line. Now in her middle age, Andy’s troubled and unusual past comes back to her when she returns to her childhood home to care for her elderly mother, Cindy. Her youth was turbulent, as is revealed in flashbacks, and she and her brother Danny were often neglected or yelled at. Andy’s mysterious missing father, who is the key to her unusual lineage, is revealed through stories from her neighbor Alana and Alana’s nephew Kenshi, who become her guides to the world of faeries, mixes, and humans. Conflicts between the faerie realm and the human world forebode that their peaceful coexistence cannot continue, though. In both the present and the past, Andy learns how to define family, as well as what it means to be caught between two worlds. The story’s introduction of its faerie and supernatural elements is somewhat jarring at first, but later scenes provide a firm grasp on the book’s local version of faerie culture and the history of its embattled group. Here, faeries have the ability to “glamour” people to get them to do what they want; the use of such powers interjects levity into an otherwise somber story, especially in scenes where Andy and Kenshi grow closer. Andy, Kenshi, and Cindy are well-developed characters, described thoroughly in terms of their home lives and attitudes and participating in terse and thoughtful dialogues. Alana and most of the faerie realm are less developed; they function as foils for Andy’s emotional growth. Despite being a minor character, Andy’s neighbor Mr. Tolliver is a complex and valuable addition to the cast; he makes the conflict between humans and faeries more textured. Jumps back and forward in time make the story feel convoluted, though. The pace slows during descriptive and action-light scenes. Beautiful word choices lead to lovely images, such as of a field that is “miles of silvery green, beaded with lakes and threaded with rivers.” The tone is introspective and haunted. The mystery at the heart of the story is both big picture—can humans and the faerie realm coexist?—and a small-picture family conflict. The ending is ambiguous regarding which side Andy will choose but satisfying in its picture of family support.